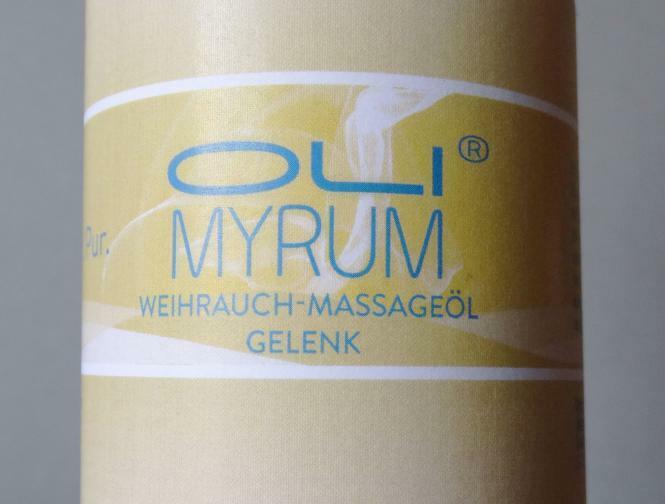 Olimyrum® Incense joint massage oil is composed of incense extract of Boswellia Sacra and a mixture of high-quality oils, the concentration of frankincense extract is higher than in Olimyrum® Incense body massage oil. The massage oil penetrates well and deep through the skin. 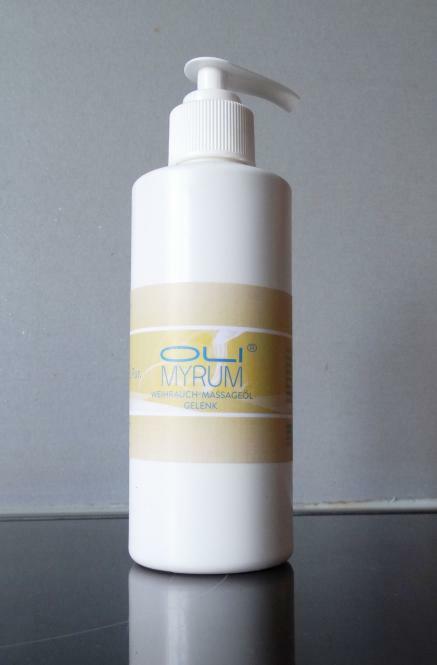 It is pleasant to apply, spreads easily and creates a supple feel. As oil with high oleic acid content, olive oil promotes the penetration and reinforces the effect of the incense extract components. It is also relatively stable to oxidation. It should be locally applied to aching joints and thoroughly massaged in. To support the natural healing process, this should be applied for about 2 weeks, 2 times daily.